We thank all who participated in our August Anime Challenge which was the dark harem anime Brynhildr in the Darkness. 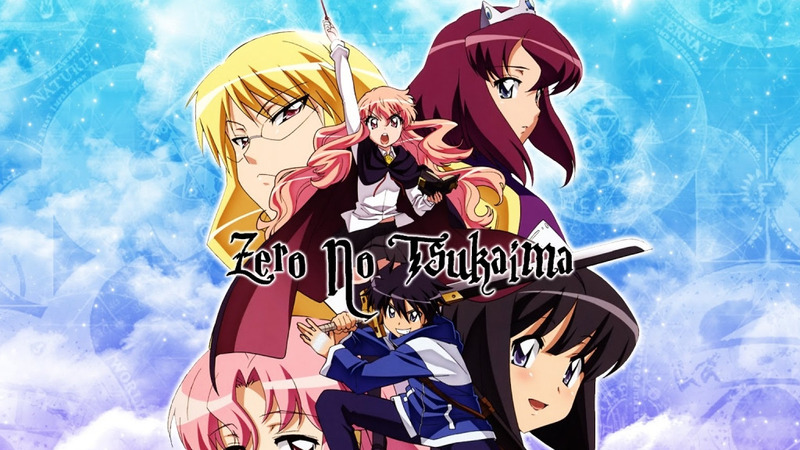 This month it was Bree from our WhatsApp group’s turn to choose the challenge anime: Zero no Tsukaima. Zero no Tsukaima (The Familiar of Zero) is an anime based on a series of fantasy/comedy light novels by Noboru Yamaguchi. The anime tells the tale of Louise, a girl of noble stock who is bad at magic. This caused her to be nicknamed “Louise the Zero” by her classmates. Now at her school the Tristain Academy of Magic, there comes a time when the students can summon their familiars, but when Louise summons her she summons Saito Hiraga, a Japanese student from Japan instead!!! Will Saito find his way back to his world? Will Louise learn to control her magic? Join us on this epic challenge in September and let’s find out together. Disclaimer: Please note that this anime contains fanservice. Viewer discretion is advised.